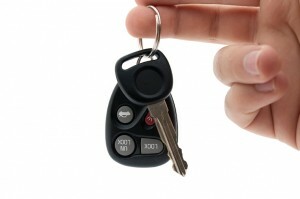 If it’s time to sell your car, then make sure you get the most money you can for it. You’ve put a lot into your car (made payments, repairs, washes, etc.) and even though you’re not going to get back all that you paid, you can get back quite a bit and even more if you are careful. 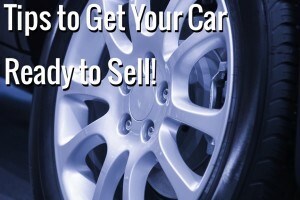 Follow the tips listed here to get your car ready to sell. You obviously want to get it washed and cleaned. Take it to a car wash where they have people wiping it off and cleaning the inside. This will cost you $20 for their top of the line wash. Consider getting some extra detailing done, too. They can usually do it quickly or else you can leave the car there and go do some shopping near by. I even found a guy that detailed my car for $100 and he power washed the engine compartment, too. Wow, did that make the car look new! To do that, they disconnected the battery and then ran a power washer over everything. They let it completely dry and then reconnected the battery. Finish it off with some Armour All on the main parts and hoses and wow does that make a difference. Anyone looking over a car is going to pop the hood. If they do that and see things looking really good, that will make them feel better about buying the car. They’ll know the car was well taken care of. 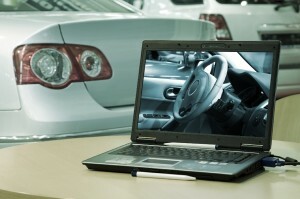 Car dealers do it – so should you. Make sure the wheels look amazing. Get some wheel cleaner and apply tire wax. This is a must! The interior should also have some Armour All applied to it so that it looks sharp. Clean all the windows, both sides, with window cleaner. Do it twice if you have to so that there are no streaks. If you have light colored carpets, get all the stains out. There’s some really good foaming carpet cleaning spray that I use (and love – it works great) and it’s called Tuff Stuff (about $5 a bottle at Amazon). You spray it on, then wait a minute and then I use a scrub brush on the area and carpet stains come right out. I use it on my home carpets and it works great in the car. Stains you think would never come out just come right out. Sometimes, if you’re used to your own car, you might not notice a smell. Ask someone else to smell your car. If there is an odor, then you can do a few things. First, think about getting it steam cleaned, like we mentioned. Second, try carpet cleaner that you vacuum up (baking soda based). Third, use some air freshener like Febreeze in the car. Don’t use too much or it’ll be too obvious that you’re trying to cover something up. Worst case, you have some mold or mildew. If your car is a convertible and if the top leaks or if it has been wet, then you might need to pull up the carpet and have it totally cleaned out. Remember, all the little tricks and tips that we mention here are small investments that will help you get more for your used car. Sometimes taking a hour to do something will net your a few hundred dollars, which is like getting paid a few hundred bucks an hour! How does the car’s exterior look? Are there any rust spots? I had one on a car that I was trying to sell and I found a guy with a body shop near by that fixed it really cheap. It was like $300 and now I can post that the car has no rust showing. That’s just one less thing someone can use to bring down the price when they’re looking at the car. You can also keep emphasizing that there is no rust on the painted part of the car and that it’s clean – doing this will prevent people from going too far down in price when it does come time to talk money. The picky buyer is going to poke around under the hood or even ask if they can take the car to a local shop and have it checked out (at their expense). You don’t want old, dirty oil in it. All fluids should be topped off and looking good. Take care of any leaks. Maybe there’s something that needs to be fixed – like the brakes for example. Spending $75 or $100 might net you much more than that plus it’s something you can say just got done, which the buyer will like. Speaking of fixes, one popular thing to do is get new tires. Putting on a set of budget tires can really add value to the car. If someone is buying the car for their teenage driver, then new tires on the car will be a huge selling point. Again, it’s just one more thing that the buyer can’t use against you. Now that your automobile is clean and looking its best, it’s time to figure out what price to sell it for. What works best is if the car is clear – which means you don’t owe anything on it. You want a title that’s free and clear so that you don’t have to first take the buyer’s money to the bank and pay it off. That’s too much of a hassle for people and you’ll get very few people interested in the car and, because of that, you’ll get less for the car. Go to places like Kelly Blue Book (kbb.com) and see what the car is worth. Also, check out used car websites and try to find cars like yours (in the same condition, etc.) and see what they are selling for. You should know all the features of your car. It doesn’t hurt to take a pen and pad of paper and go out to your car and write them all down. When it comes time to haggle, you’ll lose a little right away. Add a few hundred in so that you are able to slide down on the price a little and let the buyer feel like they’re winning a little. Also, here’s a good tip… take whatever price you want to sell your car for and subtract $5 from it. For example, if you are selling it for $5800, then set the price at $5795. It looks more attractive that way. You’re going to want to sell your car online and maybe in a newspaper or print ads, so you will need some good pictures of it. What’s around your car in the picture will help make the car look better, too. Find either a park where you can park your car on the grass for a brief period of time or else what I like to do is head over to a nice business park and find a nice building and parking lot there – like on a Sunday when nobody is around. A sunny day is good. Your pictures will look nice. With a somewhat cloudy day, you’ll get even lighting, which can also be a good thing. Do not take pictures going into the sun. Have the sun behind you always. You shouldn’t need a flash on your camera if you’re outside and there’s good lighting. The flash can reflect off of windows and ruin your shot sometimes – which is why you have to be careful about taking pictures inside the car. When doing that (and if you need a flash), do not aim the camera at windows but aim it downward or away from windows. The front, back and sides of the car. The interior – including the seats, dashboard, instrument console and radio. All four wheels. Try to show how much tread is left on each tire, too. I usually try to include a shot of the car from the front but from a low angle. You might have to be on the ground for it (which is why a park with a grassy area works well). Doing this makes the car look more “grand” and more special. Don’t just stand there and take a picture, move your body. To get a good shot, move the car. Get in, move a little, take more pictures. When you get back home, you’ll pick out the best ones, so take a lot of pictures. I also like to take one kind of funny picture and then decide later if I want to use it. For example, one with everything open – all the doors, the sunroof, the hood, trunk… everything. State if the title is clear. Any recent work you’ve had done – this will tell the new buyer that they won’t have to take care of these things for a while. Then, what I like to do is be creative and write a good description. Include why you are getting rid of it. Maybe you just got another car or want to get a new car. Maybe you just need the money. Maybe you can’t store the car anywhere. List a good reason so that this doubt is removed from people’s minds. Tell people what they will enjoy the most about the car. Maybe it’s the sunroof or the all wheel drive in the winter. Come up with at least 3 things and list the benefits of each one. Be emotional about it – meaning, say that the sunroof is great on sunny afternoons when you’re leaving work for the weekend and you feel nice and free with it open. Attach an emotion to each feature. This helps to create desire for the vehicle, which will help you get more for it because emotion very often over powers reason and logic. Craig’s List is great but watch out for scammers. I’ve seen these emails come in. Someone claims that they will pay your price plus $100 but they can’t see the car because they’re on a ship or something. Don’t fall for that. They won’t ever come see the car or send someone to pick it up. They want you to pay via PayPal and they’ll generate a fake email to send you and maybe pay you too much and have you refund them – something like that. Again, be smart and be careful! Put an ad in your local paper. Go to the supermarket and see what free car magazines are near the door. See about putting ads in those publications (I find some of those to be too expensive). You already have information about the car in a Word document. Add one of your pictures and print up flyers. Do them in color because they’re only about $0.50 a copy. Check it over for grammar and spelling errors (have someone else do it if you can’t). Put them up at grocery stores if they have a place for ads. Also, some auto parts stores will have a place in their store for cars ads. I think this is so smart of them. They know that people selling their cars are going to need car parts and car cleaning items, which brings people into the store. Also, people will return there to buy parts and things once they have a car. Auto parts stores aren’t selling cars either, so you’re not competing with them. I don’t know why every one of these stores doesn’t have a board like this. If they don’t, then suggest it to the manager. No, don’t park it on the side of the highway. Find a busy street and park it on a corner (street parking) with a for sale sign on it. Don’t leave it there overnight or else you’ll invite thieves to break into it. Also, if you do want to park it at a store or business, get the permission of the store first. They probably don’t want their lot turned into a used car lot… or maybe they do! You should have a for sale sign on the car at all times, too. If you’re driving it around, people will see it. Have the amount you’re selling it for along with your phone number in large letters so that it can easily be read. Make sure you’ve included a way for people to contact you. List your email or phone number. I don’t like my cell number being out there, so what I did was get a free phone number at Google Voice that forwards any calls to my cell. That way, when the car is sold, you can shut down that number or not have it forward to you any more. This works well if you have a car that’s a little different like a sports car, an exotic, a classic or just something different. You might actually have a national audience for your car if it’s rare enough. When I was selling my Toyota MR2, I realized it fell into this category and I bought a domain name and set up a simple website called MR2ForSale.com. It was a name that people could easily remember and it’s something that could get searched on if someone out of my area was looking for that kind of car. You might also consider selling your car on eBay if you want to get rid of it quickly. When you start getting calls, here are a few tips. First, it’s good to keep a list of people. When someone calls, make sure to get their name at least. Write down when they called, too. Just keep a small log for your reference. If you can get their phone number, then write that down, too. Second, make sure they’re serious and just don’t want to waste your time looking or test driving a car – especially if it’s a nice or rare car. Be polite about it. Third, pick a time and place that’s convenient. Maybe you don’t want people coming to your house – or maybe you do. I don’t really mind but I can understand how, in today’s world, someone might not want that. As they’re looking over the car, make sure you’re pointing things out and telling them the benefits. Answer all their questions. If you have a folder full of receipts of things you’ve had fixed, then have that in the car. Buyer will like to see that it was taken care of. Your ad already stated the price, so there’s no need for you to start lower than that. Stick to your price. They will most likely start lower. If it’s too low, then don’t even counter it. I like watching the shows like “Pawn Stars” or “American Pickers” and you can watch how they (the pros) do it. You can learn quite a bit. You should already have some wiggle room in your price, so you can come down a little. The title along with any lien releases. Put this in an envelope (not sealed, of course) with the VIN number of the car printed on the outside of it. Make it look like you know what you’re doing. A “Bill of Sale” document. Have two of these printed out. These state that you have sold the car to the buyer without any warranty, etc. These are the terms of the sale. One is for your records and one is for them. Both of your should sign each one. Only accept cash or a bank check. Do not take personal checks. If you do take personal checks, then do not release the car to them until it has cleared. If they don’t like that, then they can go to their bank, get cash and come back. Give them all the keys, the manual and anything else that goes with the car. Shake their hand, look them in the eyes and smile. If you’re looking for a “Bill of Sale” document / template, then we have a whole article here about a used car Bill of Sale document that you should read. Make sure you do. There, I have one you can download. You are welcome to it but know that I’m not an attorney and make no guarantee that this document is legally sound. There are websites that can help you create and print a bill of sale document. I’d suggest using one of those. We hope you enjoyed this long article. We tried to be thorough and give you lots of tips. We will keep updating this page with new tips as we get them, so please bookmark this page. Also, tell your friends on Facebook or other places that you like this article. If you have more tips that we didn’t include, then please leave them in the comments below. Please share this article. Good luck selling your car! This entry was posted in Car Selling Tips and tagged bill of sale document for used car, car detailing steps, car detailing tips, car detailing tips and tricks, car selling form, Car Selling Tips, how do you sell your car, how to sell a car, sell my car quickly, selling a used car, where can i sell my used car by TC. Bookmark the permalink. 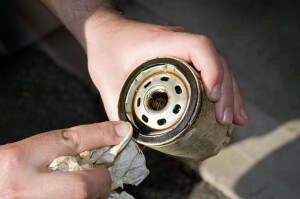 The precaution which you had given on how to sell the car and how fix it was really amazing. Also the beauty is in the eye of the beholder but a trashed out car will never sell except for parts. So, you must keep your car in a good condition for selling it.